This room is ideal for a wonderful family holiday. Our family room offers a kitchenette and a spacious, combined sitting-room / bedroom for up to four people. A seating area for informal evening hours invites you to linger together. On request we can deliver a baby cot. A bottle of water is offered to each guest as a greeting gift. Free parking is available directly outside the hotel. The use of the swimming pool and sauna area is included in the room price. 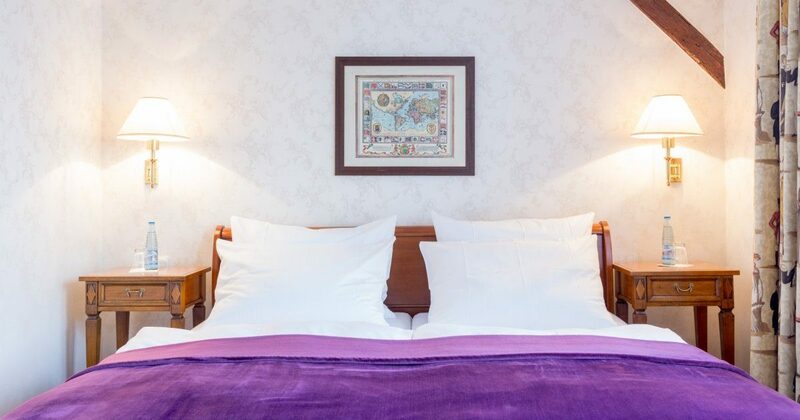 In our double rooms with 24 m² you can enjoy togetherness. The rooms are equipped with a balcony and a magnificent view of the castle.